The Society of Toxicology (SOT), a professional membership association of more than 8,200 scientists worldwide, has approved and released a new Issue Statement on food and feed safety related to genetically engineered (GE) crops. The Issue Statement has five key observations on safety, substantial equivalence, and labeling. 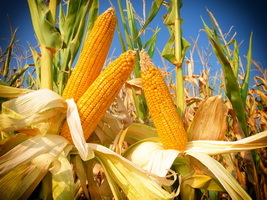 The Society affirms the safety of GE crops amidst ongoing public debate about potential adverse impacts of GE crops on human or animal health, saying that each new event has been evaluated by regulatory authorities and all necessary regulatory approvals were secured before their commercial release. The Statement also mentioned that many GE events have achieved tremendous commercial success in the ensuing 20 years, and during that time, there has been no verifiable evidence of the potential for adverse health effects. For more details, read the SOT Issue Statement.